My gosh Kevin Maguire is a great artist. I realized, as I was reading this issue of Supergirl, that I would be perfectly content to see her spend an entire issue washing a car or reading a telephone book, as long as Maguire was doing the art. But she doesn’t spend an entire issue doing pointless things, because Marc Andreyko has provided an entertaining tale, as he always does. 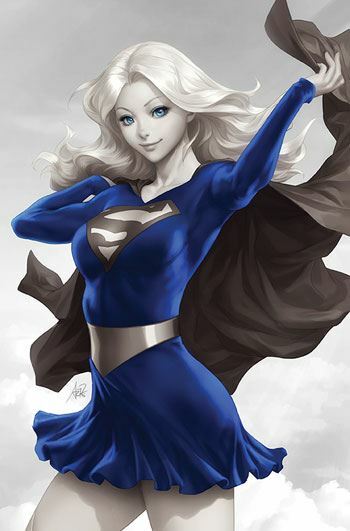 Supergirl is still on Mogo, and finds out that the Guardians of the Universe are connected to Rogol Zaar, the man who claims to have destroyed Krypton. Not even the Green Lantern Corps know the truth about this, and Supergirl is forced to fight against them, with only Krypto at her side. Or at least, that is the situation until one of the Corps decides to help her. This issue is not as light hearted as the last one, but of course it wouldn’t be. Things are far more serious now, with everyone against Kara. The story is fast paced, but the art is so good I tended to linger on the pages, just admiring it. Aside from that, I really haven’t anything else to say about the issue. Lovely to look at, fun to read.